Wisconsin Judge Rules Against Republicans And Restores Gov. 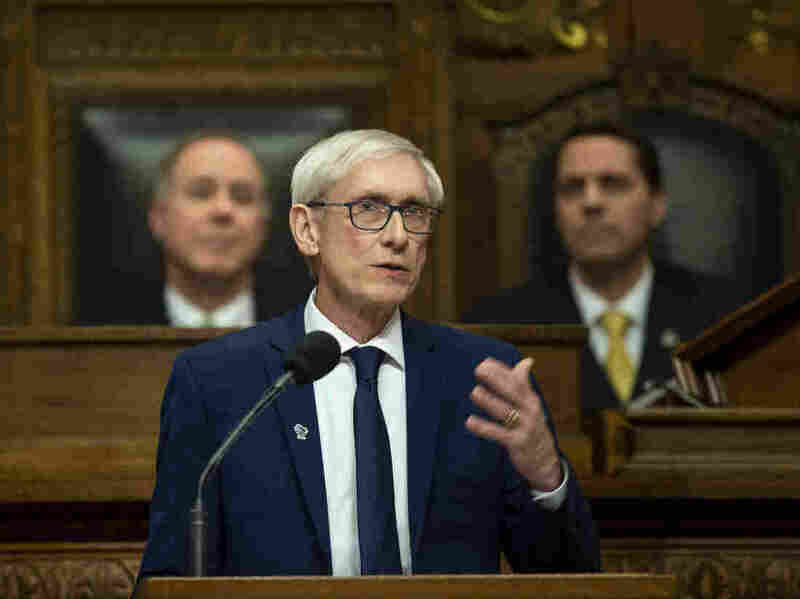 Evers' Powers A Wisconsin county judge ruled Thursday that laws passed in December by Republicans during a lame-duck session to limit the power of incoming Democratic Gov. Tony Evers are unconstitutional. Wisconsin Gov. Tony Evers, a Democrat, delivers the State of the State address on Jan. 22. On Thursday, a Wisconsin county judge restored the governor's powers that had been restricted by Republicans during a lame-duck session. A county judge ruled on Thursday that all of the laws and appointments passed by legislators were unlawful because they met in what's known as an "extraordinary session," which isn't explicitly allowed under the state's constitution. "As the governor has requested, please take whatever steps are necessary to remove Wisconsin from Texas v. United States," wrote Evers' chief legal counsel, Ryan Nilsestuen, in an email to the Department of Justice shortly after the ruling was released.